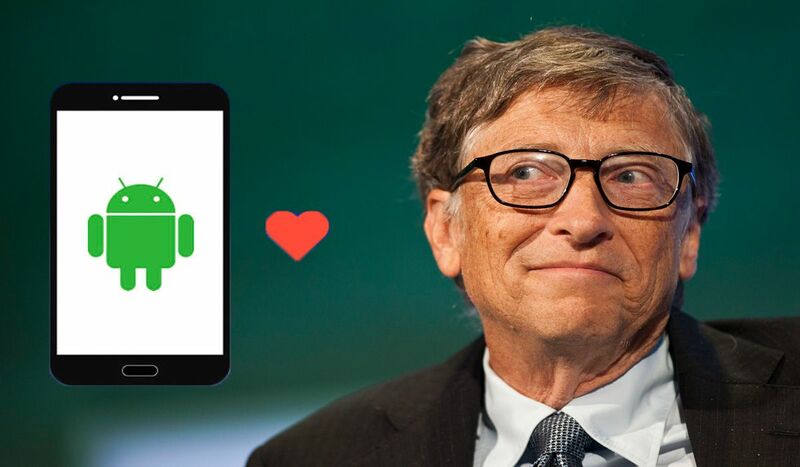 Microsoft Co-founder bill gates recently switched to Android phone. He said this in an official statement to a news agency. As far as everyone knows he has still installed many Microsoft apps in that phone. Right now, Android and apple cover the 99.6% of the market share. The rest of them are Microsoft, Blackberry and other devices. Apple is still behind 17.7% of the market and Android is leading the chart, with 80.7%. That’s a huge difference. But when we look into the Microsoft’s share, it’s covering around 1.1% globally. The world is using Android and bill gates know it. 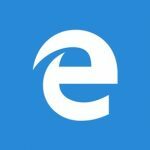 He accepts that Microsoft is falling behind in the line of global acceptance; it’s time to make a switch. In 2014, Microsoft acquired Nokia in $7.2 billion and started selling these phones with Windows OS. We’ve seen how did it go with Nokia. Once Nokia was giant in mobile phone industry. After the invention of Android OS, people started using new stylish touchscreen based android phone and ditching that old keypad Nokia phone with Symbian OS. Microsoft was already the largest brand in personal computer operating system and software. To enter in mobile phone market, they bought a Nokia in such huge price. However, the Windows Phone couldn’t do anything good for Microsoft. Now, Nokia is trying hard to comeback with Android OS. Microsoft CEO Satya nadella announced that they will make Microsoft apps available to every android and iOS users. Surviving in the race for a mobile market where every other day new companies get launched and phones are getting cheaper. Microsoft knows where the market is. Targeting android user, their new Nokia phone comes with MS office app and the email app like outlook. Along with voice assistance app Cortana. Bill gets getting the new Android device is not a big news. But if we take as a multi-billion-dollar company Co-founder, putting aside their own phone and the OS and switching to competitor’s phone. It shows that Microsoft already accepted the defeat and trying to change as fast as they can with the market trend. Nokia had a system very much like Android, called Symbian, Vicky. The first GUI, all touch screen, were Nokia, Symbian 8 phones – like the Nokia Communicator in 1996. Nokia also made the first Linux based phones – “Maemo” on the N900 amd “Meego” on N90. Be my guest and compere this with iPhone X! Microsoft acquired Nokia because they believed they could do something, like obtain a sizeable share of the market as they did with MSDOS. They had plans to use this to get rid of Samsung and the others, and the leverage was Windows on the phone. Google has invested in Android, that is based on Linux, well Linux underneath and a “screen manager” of their own – Android. Now Ubuntu, Mint and Redhat uses the X/11 (XR11R4) screen manager. The styles, graphics is the big difference, not “method”. and this makes Linux Mint with Cinnamon very similar to MacOS – the same “styles”. Samsung has invested in “Tizen” – an Linux based on KDE and “Plasma” styles. This is mimicked by Windows – the tiles were invented by Samsung. People buy and pay for what things look like, and not what they really do. But Linux with Plasma has a much richer set of “styles” to draw on, templates and widgets than Microsoft ever can make. The spin-off from Nokia R&D is “Jolla” and they make phone OS based on Linux, MeeGo (well also Maemo) called Sailfish, and they have a Android emulator that comes with it. These phones run standard LibreOffice applications, can caste the screen to your TV and let you use the phone as keyboard. I have tried “Planner” – the MS “Project” equivalent, but no limit on number of activities or nesting of tasks on a N900 with Maemo. Take a look at Jolla – this is the old “Nokia”. the Nokia you refer to is just a brand and a production consortium.